Roll-2-Roll Technologies' Unwind/Rewind Guides are the simplest web guiding systems available in the market. The same plug and play technology featured in our intermediate web guides for narrow and wide web applications and web guiding retrofit kits, is available in our unwind/rewind guide kits. Whether you are replacing an existing technology or installing a new guide in your unwind/rewind build, this kit fits your needs. 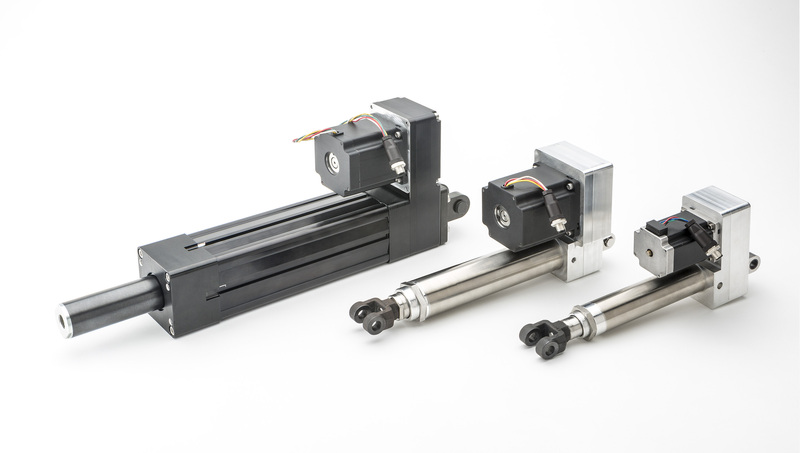 Unwind guides and rewind guides feature an electromechanical actuator, controller and sensor for automatic guiding on shifting roll stands. Unwind guides provide accurate and precise edge alignment at the beginning of the converting process. The actuator moves the unwind guide back and forth to ensure proper alignment of the web as it enters the converting process. Rewind Guide provides the same accurate and precise edge alignment after the web has been through the converting process. The material is aligned by the lateral shifting of the rewind stand, based on the edge detection of the sensor and the processing of the controller. The end product is a perfect roll of converted material. The Unwind/Rewind Guides can move loads up 15,000 lbs.